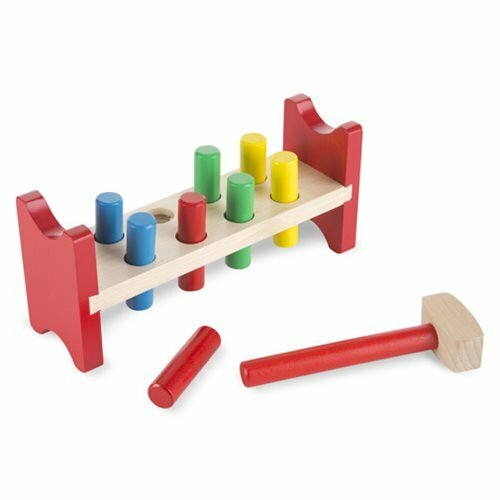 Pound the eight colorful wooden pegs into the wooden bench, then flip it over to repeat the activity again and again! Four pairs of pegs for color matching and wooden hammer included. Ages 2 and up.